Ground Hop Day 2019 – 20th April – 5pm K.O. Next weekend we host Yateley Utd FC as one of the stops on the Hellenic League Ground Hop Day. Not only a record crowd of 200 people + expected at Crendon Rec but also a crucial game as we challenge for the league title. Tickets: Donations of £6 per adult at the ground. Kids & OAPs Free Entry. 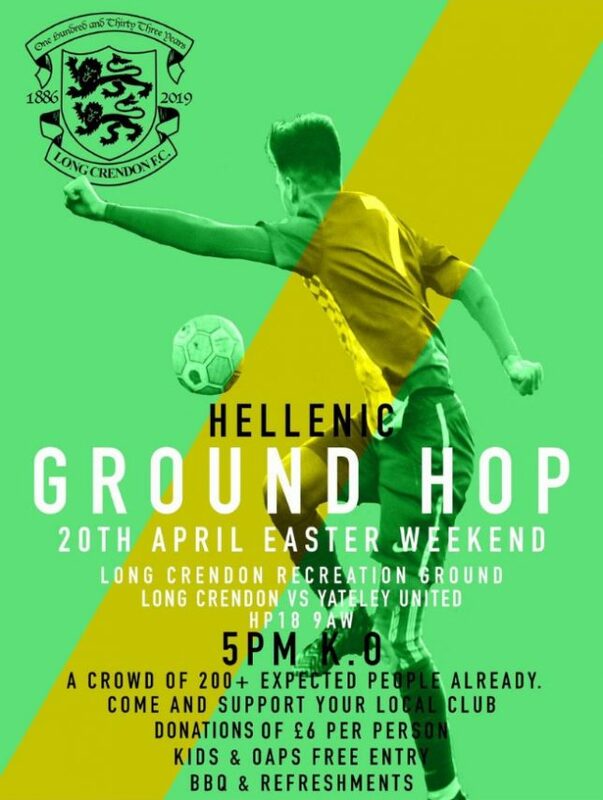 Date: 20th April 2019 – Easter Weekend – 5pm KO. BBQ and refreshments available throughout the event.